Mel Recchia is a qualified Nurse, having started her nursing career in 1997 as a Registered Nurse at Stoke Mandeville Hospital, Aylesbury. Following qualification, she worked for 3 years in the burns unit, then for a further 8 years as a Sister in accident and emergency. Before embarking on her nursing career, Mel worked as a Beauty Therapist in various clinics as well as running her own salon. Keen to share her knowledge and experience, she went on to pursue a Certificate in Education which enabled her to train others in beauty therapy. Having gained a wealth of experience in both nursing and aesthetics, Mel took the natural step into aesthetic nursing. Mel offers our full range of skin treatments including dermal fillers, Botox injections, dermaroller, chemical skin peels, microdermabrasion and sclerotherapy to treat thread veins. She also assists with the surgical work of Aurora Clinics and is an advanced trainer for our sister company Cosmetic Courses. Mel feels that her background in beauty therapy and burns and plastics nursing equips her with a complete understanding of her clients’ aesthetic needs. This enables her to plan realistic treatment regimes that deliver the most satisfying results for her clients. 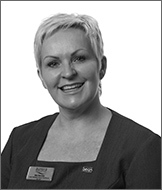 Mel is an Independent Nurse Prescriber and an active member of the British Association of Cosmetic Nurses. Mel went to stage school with West End Star Sarah Brightman, and her hands appear in the film 28 Weeks Later!